Whether you are building a patio or walkway, large retaining wall or small seating wall, we have the stone to meet your needs. 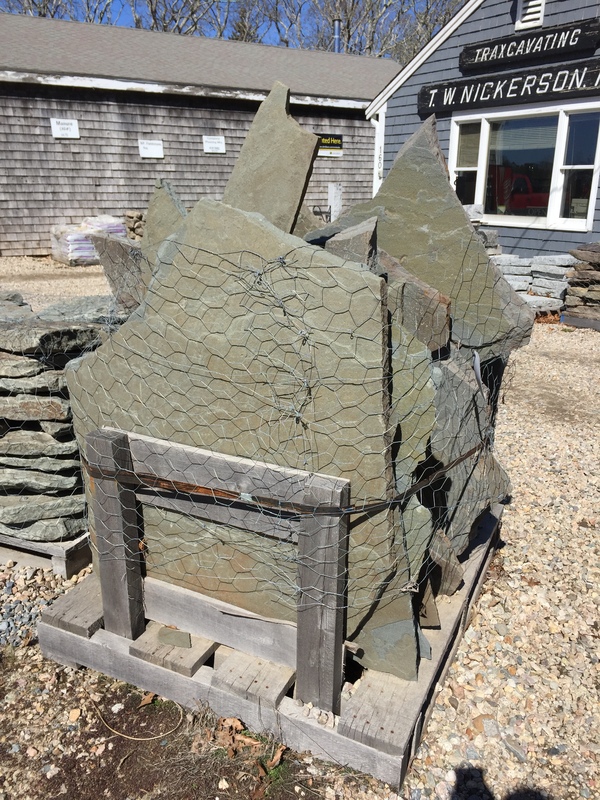 We carry beautiful New England fieldstone in bulk and in palletized form, as well as thin veneer. Visit our yard to see our current selection of stone pavers, wall stone, and loose stone. We can order more quantities or specialty sizes; simply call us or visit our office to place your order. Pricing is for product only; we can coordinate a contractor to install or finish your unique project. We have quarried slate in grey, green or mottled. Pieces are cut on 3 sides and irregular on the fourth. Loose field stone and boulders are availble both in the pit and in select open fieldstone pallets. Please inquire at the office prior to picking any loose stone or boulders. We have boulders ranging in size from baseballs to large 2-man boulders and larger. Natural Vermont Steppers are real stones perfect for creating natural, organic stairways or transitions.